If you're in New York and fancy yourself a design pedant, I mean enthusiast, this evening out at the Van Alen is for you. Frieze New York has announced its always dynamic Talks series for the May fair on Randall's Island: Thelma Golden! Pierre Bismuth! Christian Jankowski! Paul McCarthy! Jeet Heer interviews Chris Ware for the Paris Review's Art of Comics series. A photo essay by Eleanor Farmer and Anna Ridout—On the road in the DRC. The great Damon & Naomi appear on Andy Beckman's Beginning's podcast. Is art school just for the wealthy? 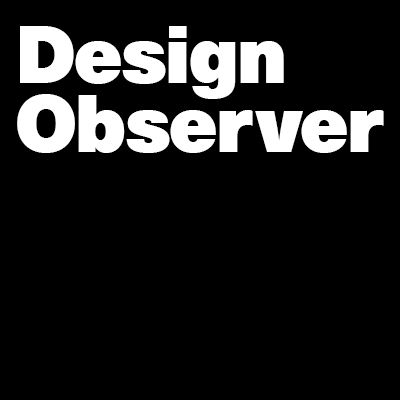 Design Observer opened the Thesis Book Project to submissions this week. As if on cue, after twenty-three editions in Italy, Umberto Eco's guide How to Write a Thesis finally appears in English. Patrick Cashin's photographs of New York City infrastructure projects progress never cease to remind how weird and complex it is when we build underground. Will this man develop "an Uber for jobs"? Will this be Uber with a fair model for passengers and drivers? Probably not, in the long run, but worth a read. This week on the site we published Blake Eskin on another controversial ride sharing tactic—practiced by municipal transit systems.